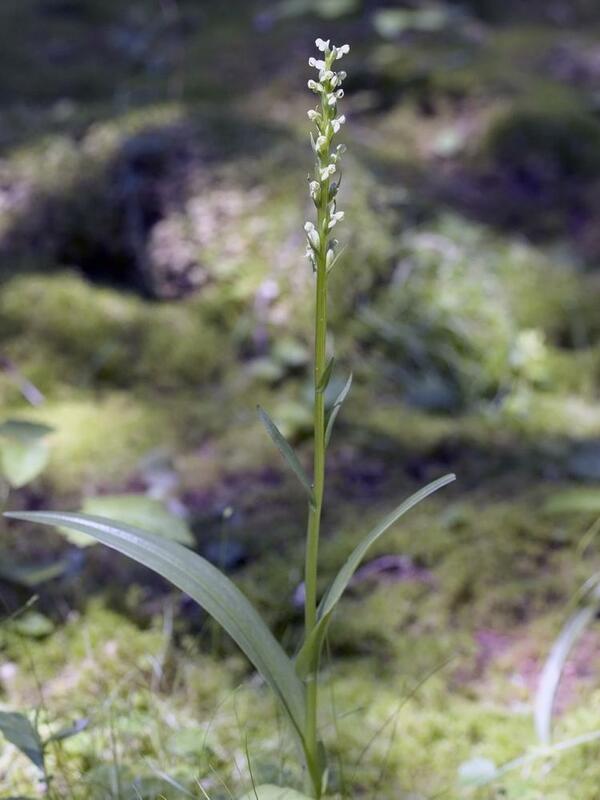 Platanthera aquilonis, commonly called North Wind Bog Orchid, is widely distributed throughout western and central Canada, Alaska, the western and northern United States, as well as in the northern mid-Atlantic and New England. 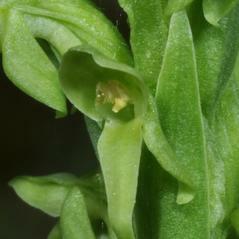 It produces an inflorescence of a few to many small, yellowish green flowers with an elongated, tapered labellum. 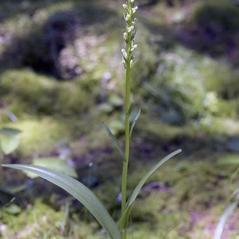 The leaves along its stem taper to bracts near the flowers. 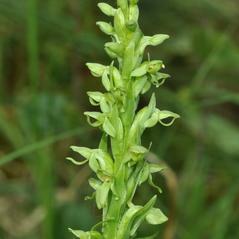 It can be found in moist meadows, marshes, fens, and bogs, as well as along roadsides and riverbanks. 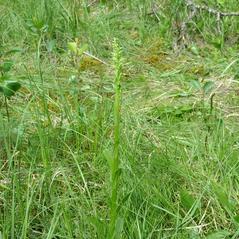 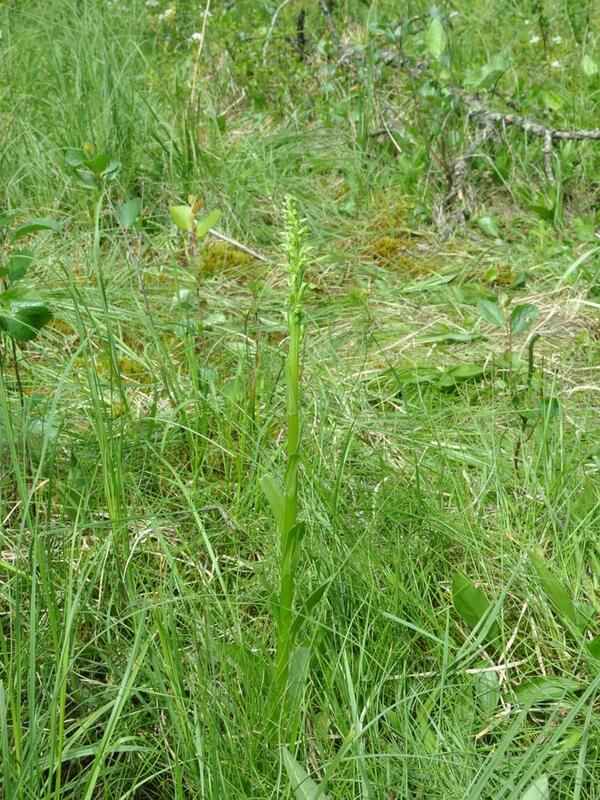 Although it shares a similar habitat as Platanthera dilatata, it can be distinguished by its green instead of white flowers and its tapered labellum. 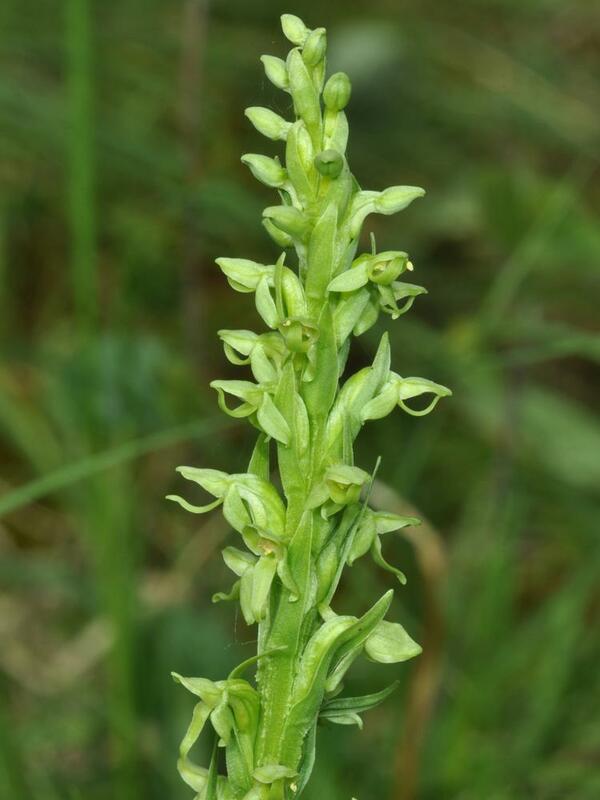 Platanthera aquilonis is considered globally secure. 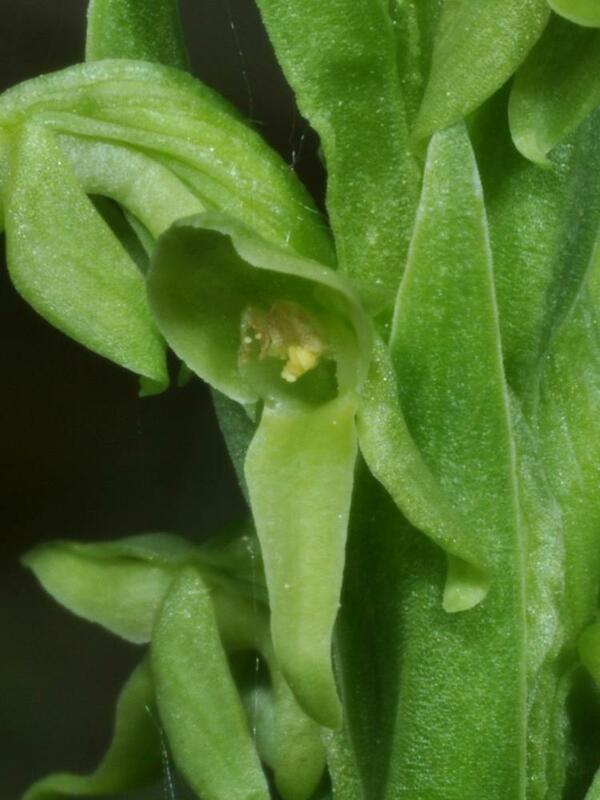 The flowers are commonly self-pollinating: the pollinia rotate forward and downward out of the pollen sacs and deposit pollen on the stigma, or the pollen spills in a stream from the pollen sacs onto the stigma.